Hello Wolf, The Milton Schoolhouse was purchased by an energetic young artist couple who are presently cleaning and refurbishing the buildings and grounds. 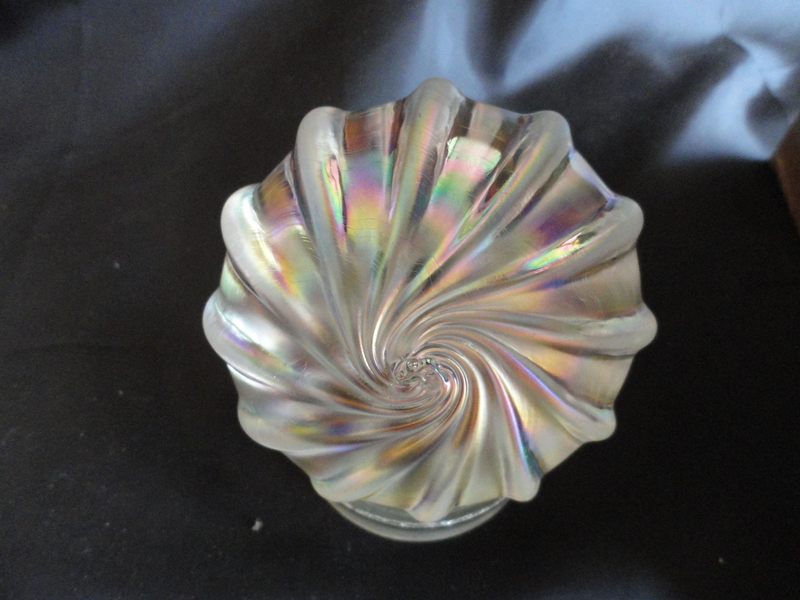 They have a great website where they record their activities and also they sell Levay glass items found in the old factory on eBay and Etsy. They also maintain a Facebook page. Google Milton Schoolhouse, Alton IL and you will find them. Am amazing story! They are doing a wonderful service for their community at a time that it seems “urban decay” is the norm in American cities. Thanks for reading my post. 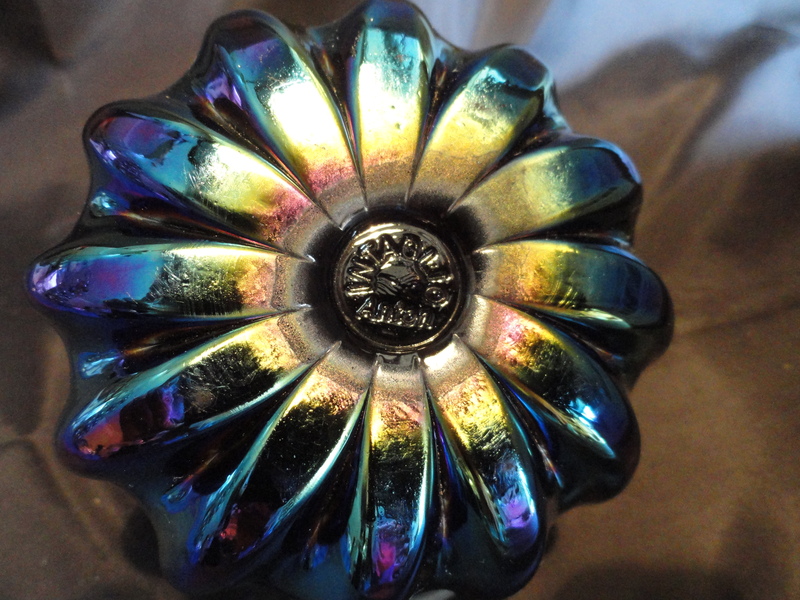 enjoyed all of your info as I just purchased an anton intaglio carnival paperweight and an intaglio vase to resell. Great article. Ill fill in the blanks when I get a chance. I knew Gary and helped him at the school after everything collapsed. Not entirely his fault. 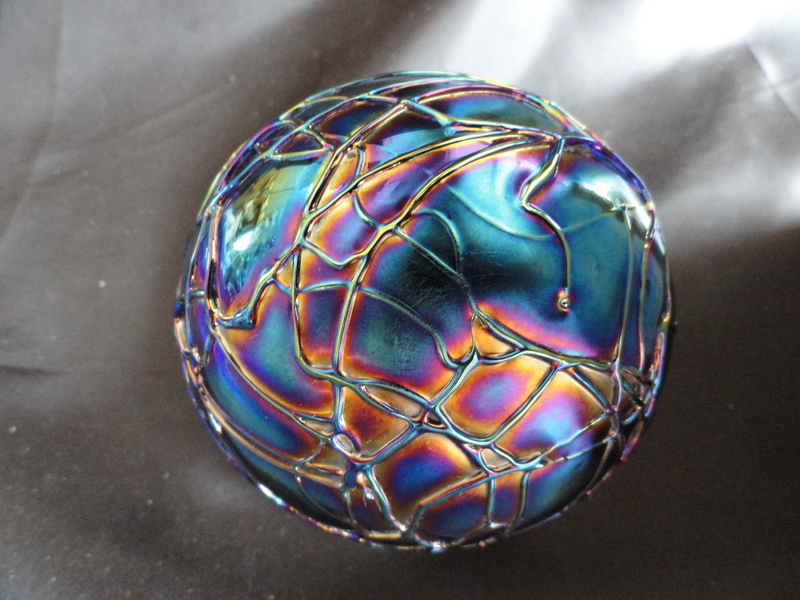 Thanks for the feedback on my blog article about Levay Glass paperweights. I have heard from Susan Carr and she offered some insights. I am very interested in communicating with you as the info I have I pulled from research and I don’t really have very much first hand knowledge. I do find the story to be particularly interesting and it just seems to pull me in as though the story truly needs to be told. Any help you can give me I would gladly acknowledge your contibutions in my blog if you like or not. What ever you would like. Glad you found my blog site. Thanks so much and I look forward to communicating with you. Doug at Kelekchens blog. 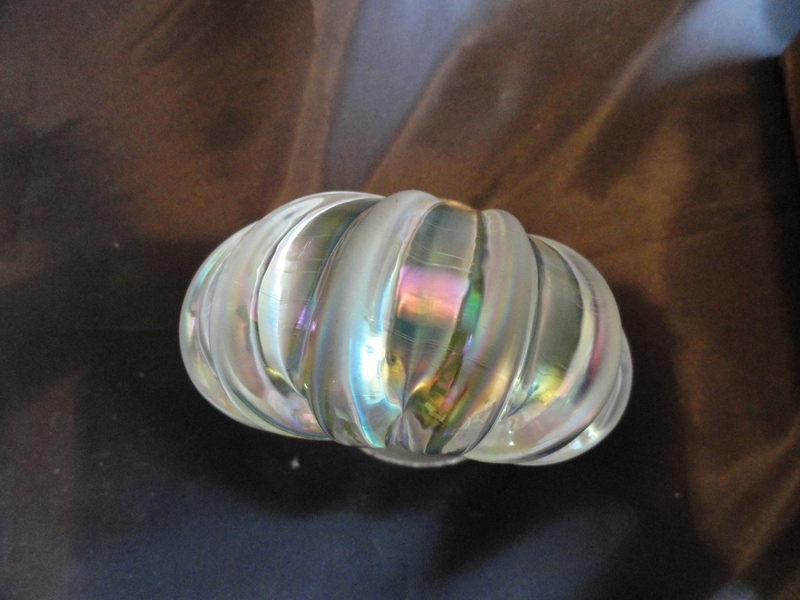 I have a piece of Levay glass that I would describe as pear shaped. 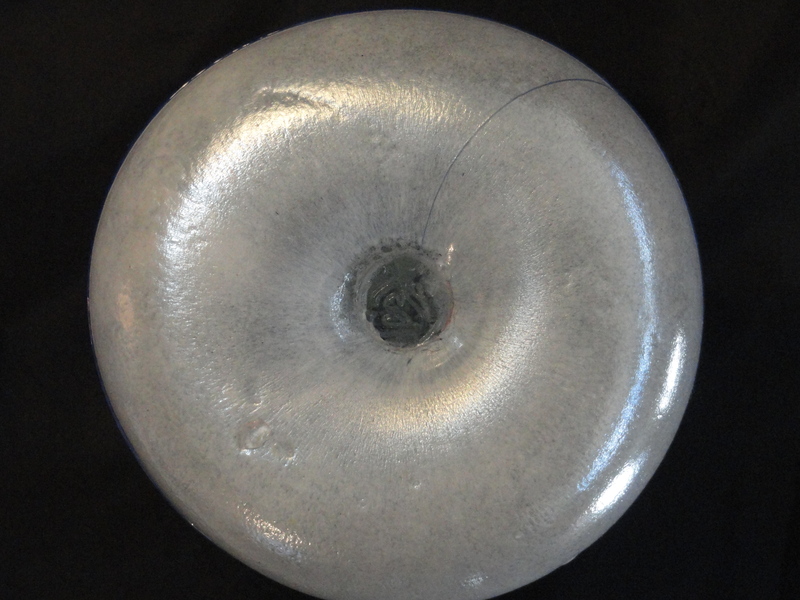 It has a “cap” that looks as though it is glued on. 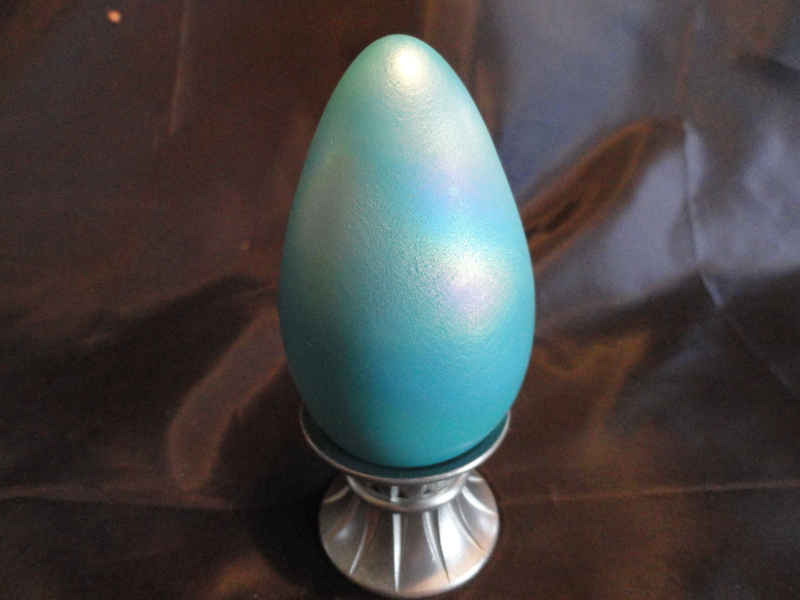 It is a frosted white iridecent color. 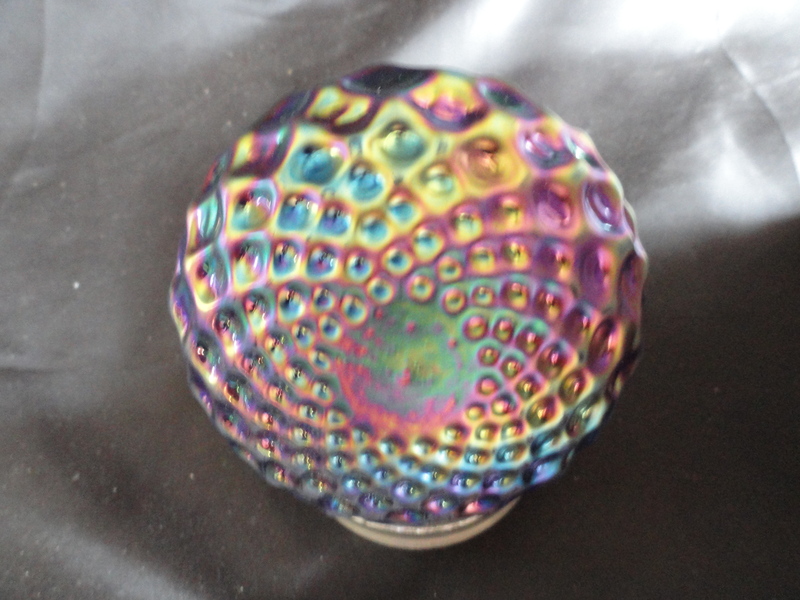 I am trying to find info about it and thought maybe you could help. 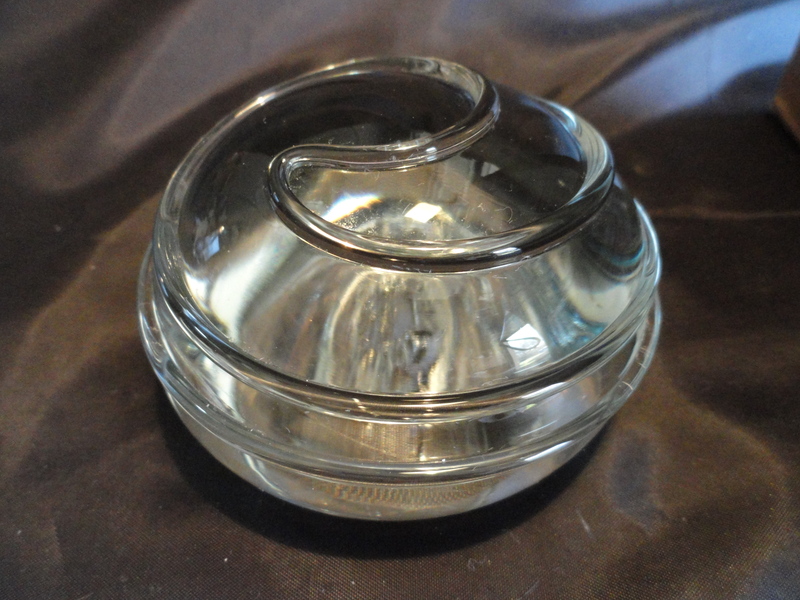 It is stamped “LEVAY” on the bottom. Thanks! 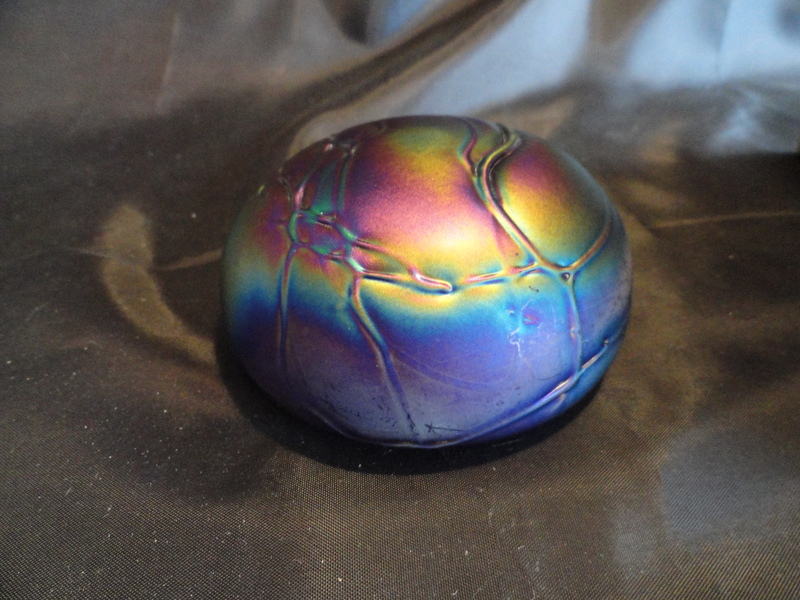 I recently bought a paper weight at a local yard sale thinking it was a garden stone. Before placing it in my rock garden, I turned it over to find a “Levay” signature engraved on the bottom. 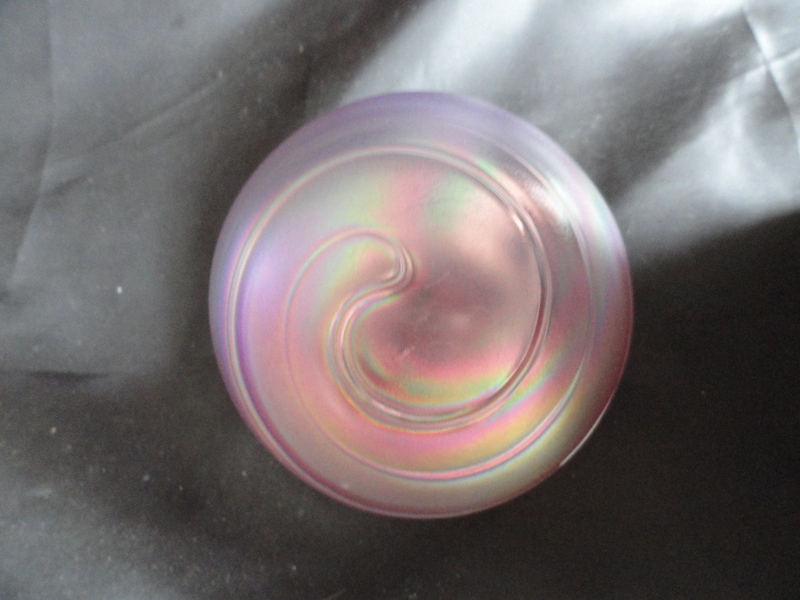 It is clear swirl pattern with an irridescent finish. 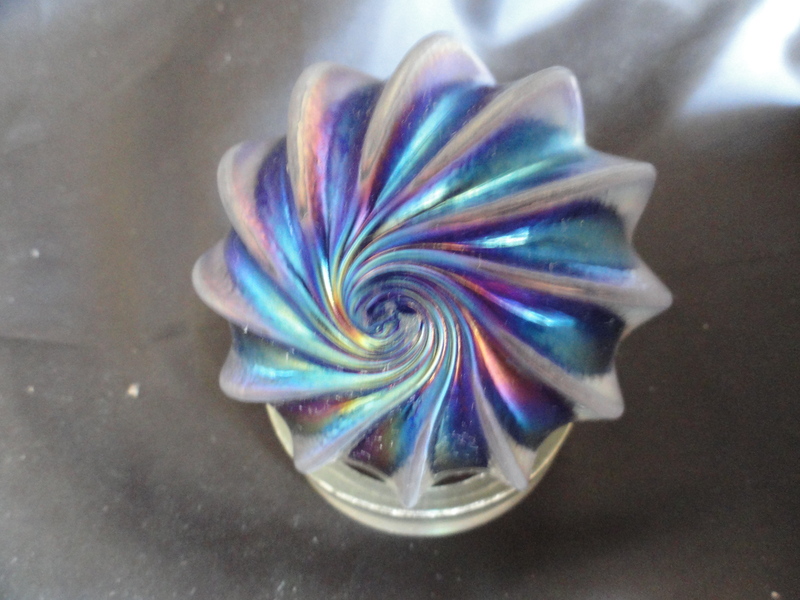 Thank you for the pictures you posted so I could confirm what I purchased from a quarter box. If you have any idea of the time period that he would have signed his art in this fashion, please let me know. Thank you! It is my understanding that he got in trouble with the IRS and they are the ones who closed him. 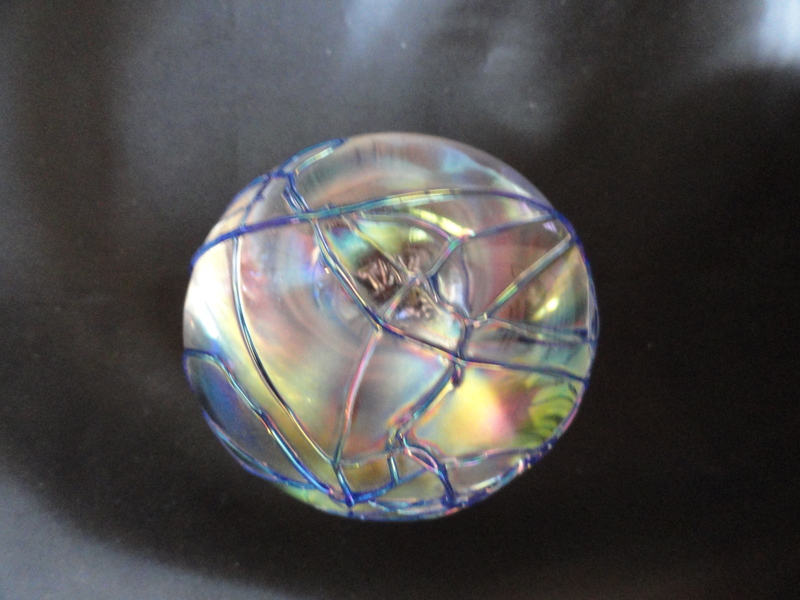 I know the current owners of the building and they are still finding art glass all over the building, including mant paper weights.Many of the more expensive items were found hidden in places almost no one goes, some say that they were hidden so the IRS would not find them. 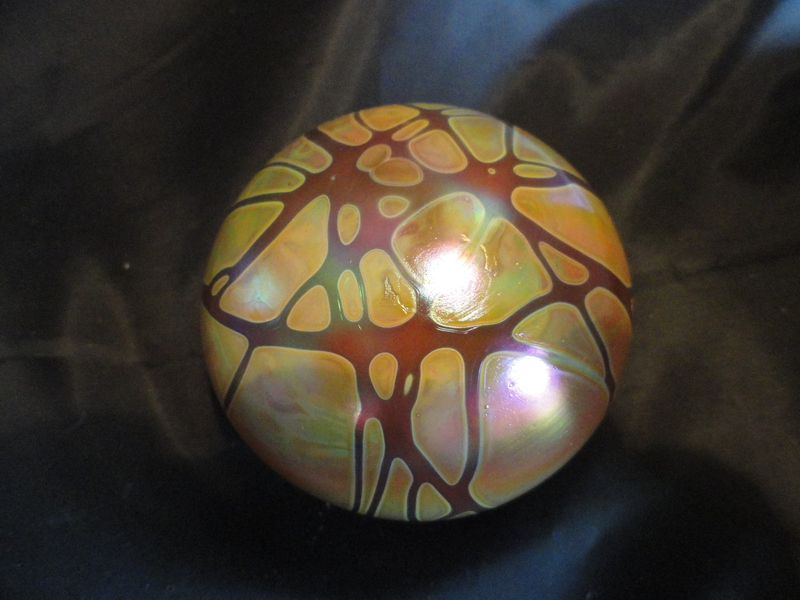 There are also many pieces of “Westmoreland” that he produced and sold as Westmoreland originals. The current owners are remodeling the schoolhouse into apartments (and doing a great job of it) and offering haunted tours of the building. Mr.Levay was have to supposedly died during the investigation, and everything of value was hidden so his widow may not have known what was there. The current owners are still sorting through the inventory. Great article and good information. 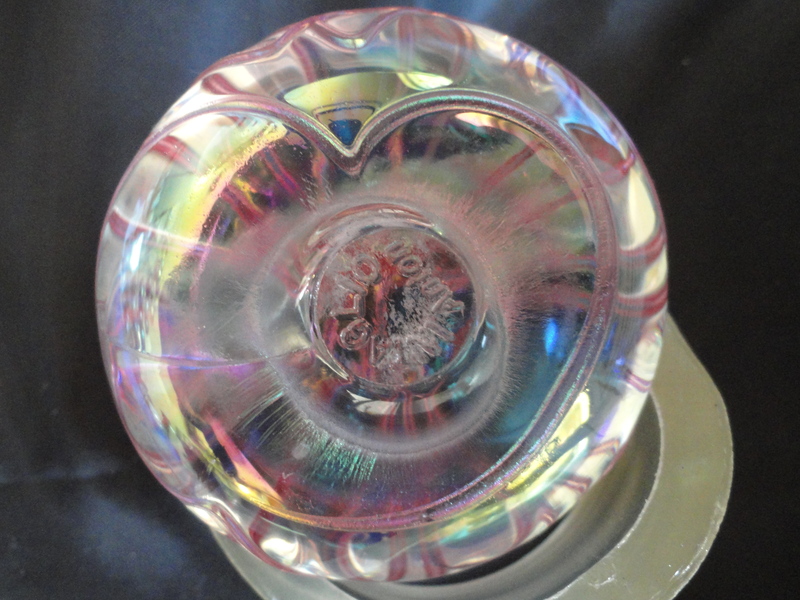 I recently purchased 2 paperweights that are signed/etched on the base “Intaglio”. One has “Levi” and the other has “Anton”. The date is 1993 and each has an edition number. They are almost identical except one is pink and the other is lavender. 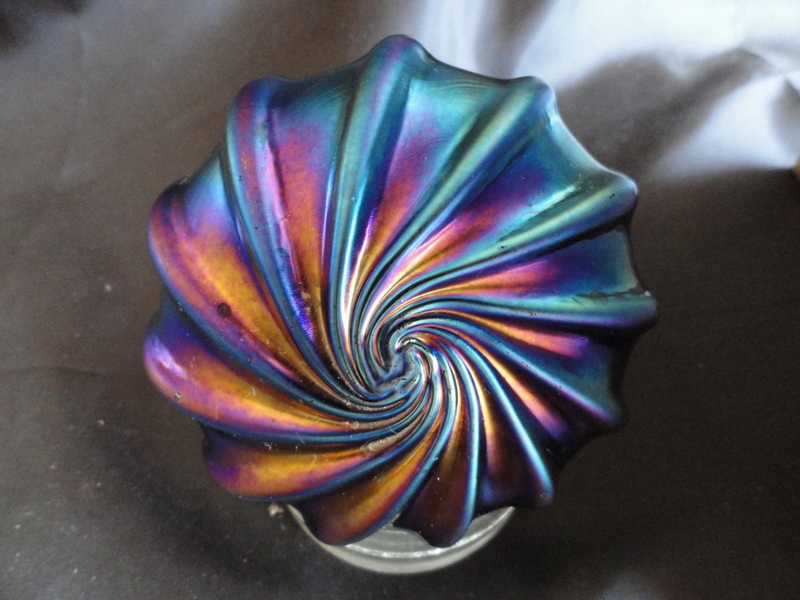 They are swirls of color with frothy bubbles and glitter. They look nothing like what I have found on the internet. They were originally purchased at a gift store in Knoxville, TN, Andrew Morton, where there was a “trunk showing”. 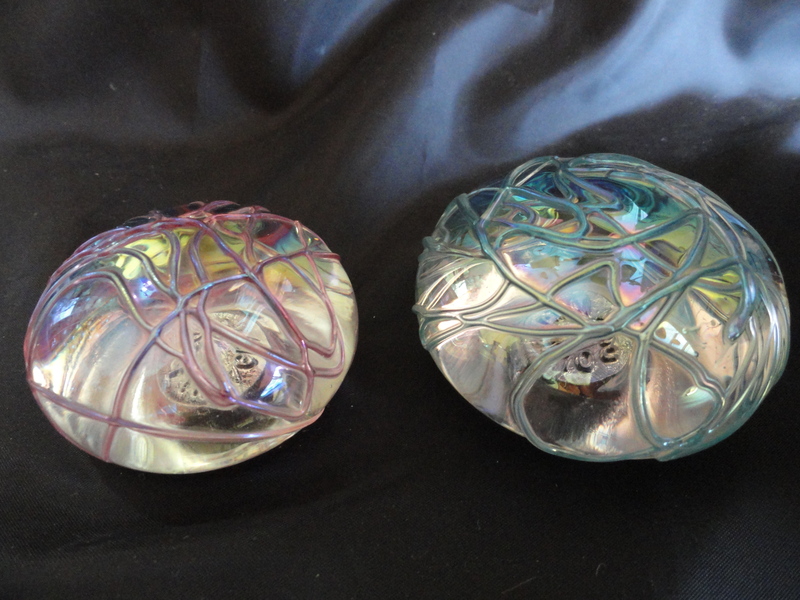 There were some others available for purchase that had colored interiors surrounded by controlled bubbles and then encased in clear glass. 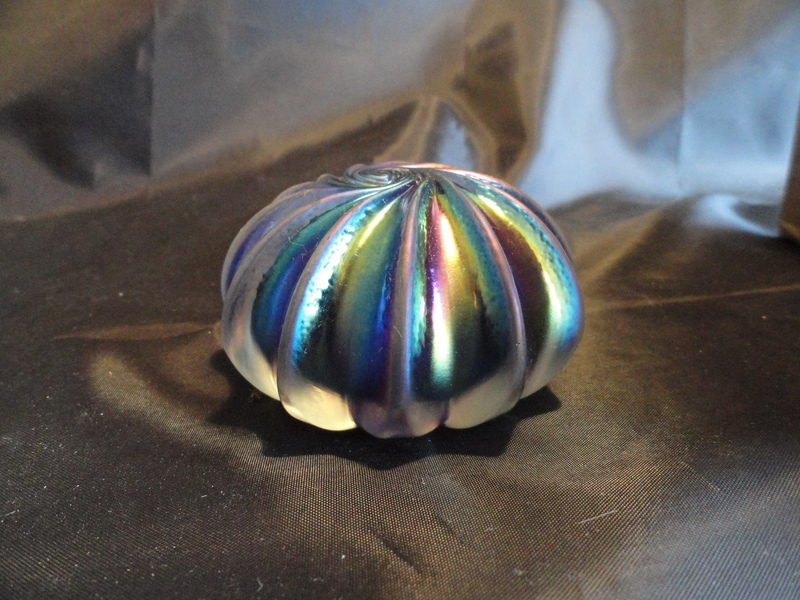 Have you seen anything like these in you collecting or research? 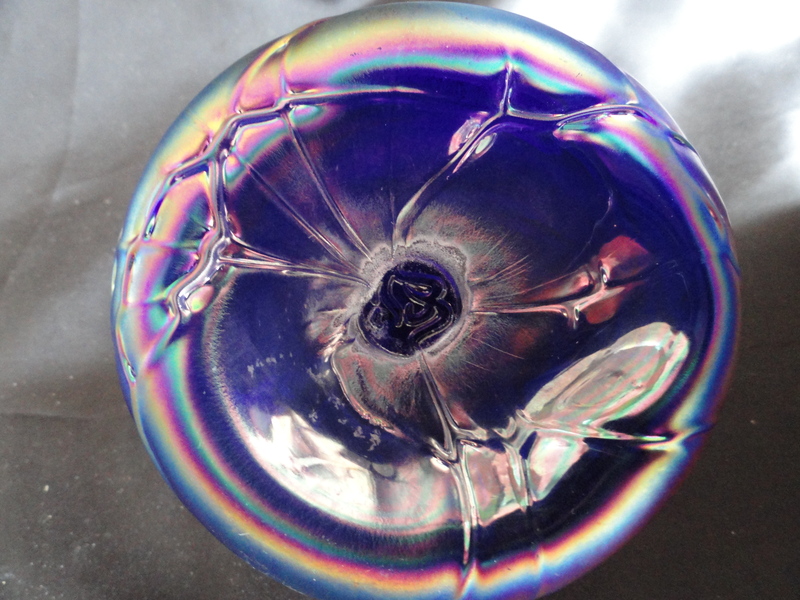 Thanks for this great article on the Levay Glass Factory! 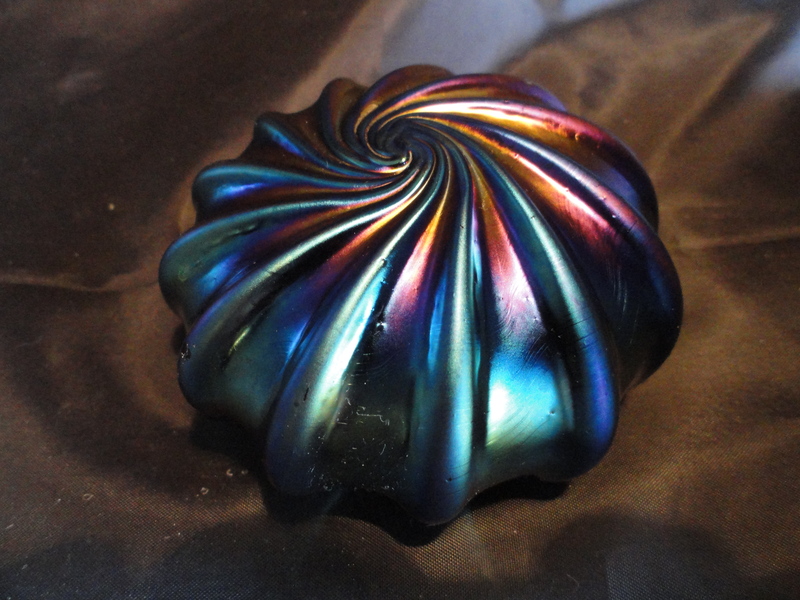 On a trip to Ohio a couple of years ago, I purchased a blue spiral weight with this strange stamp on the base in St. Charles, IL, and no one could tell me the maker, but thanks to your pictures and some listings on eBay, I think I’ve found him! 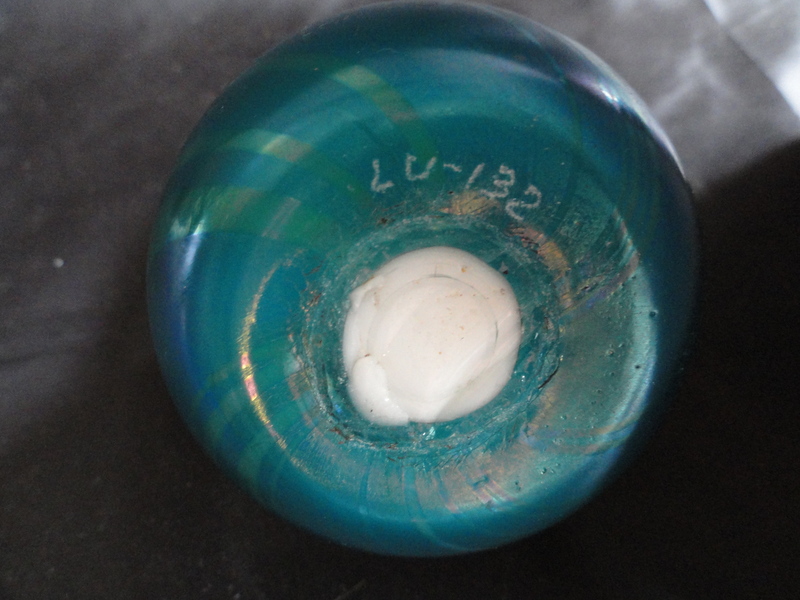 My weight has many more lines to the spiral and is less delicate than the two spiral weights pictured, but it’s got the odd stamp and the year 1995 etched above it. I had visited the old schoolhouse factory run by Gary Levi in 1993. 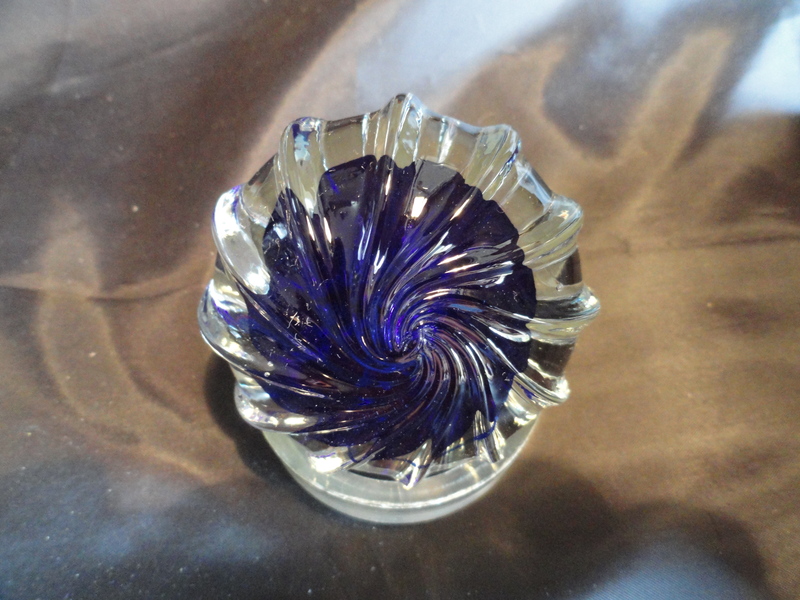 Gary did indeed hand mold glass and blow glass. I made him do it while I was there as I joked with him being just the owner. He also pressed a piece on one of the old Westmoreland moulds in the old Westmoreland hand press which he purchased at auction. He only had one mold. 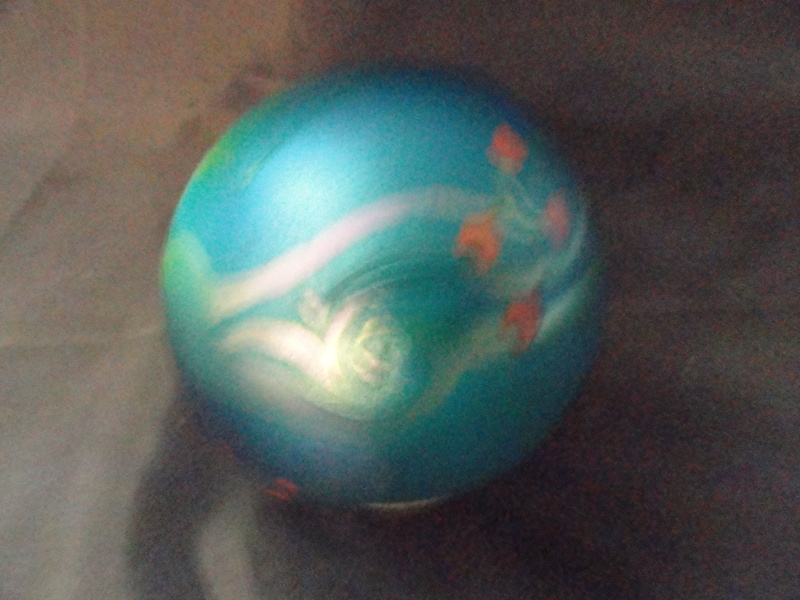 A bowl. 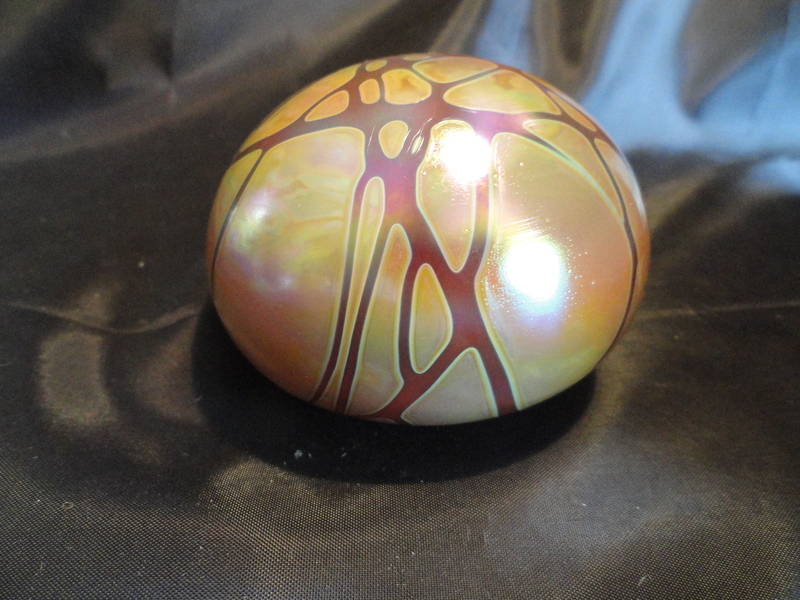 It was in a grape design which was done in carnival by Westmoreland. He was attempting to get others but I never believe he succeeded. 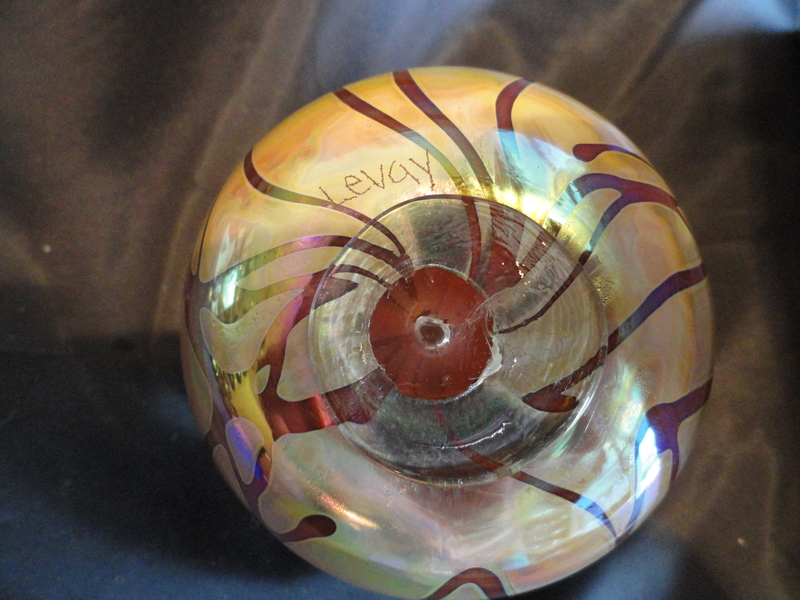 Levay glass was not a part of Intaglio Studios. 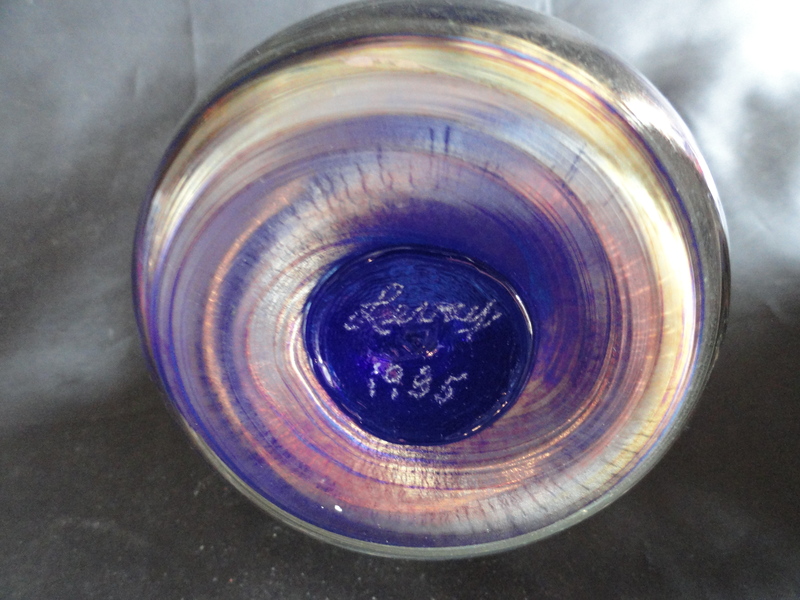 Levay had ceased by the time Intaglio started. 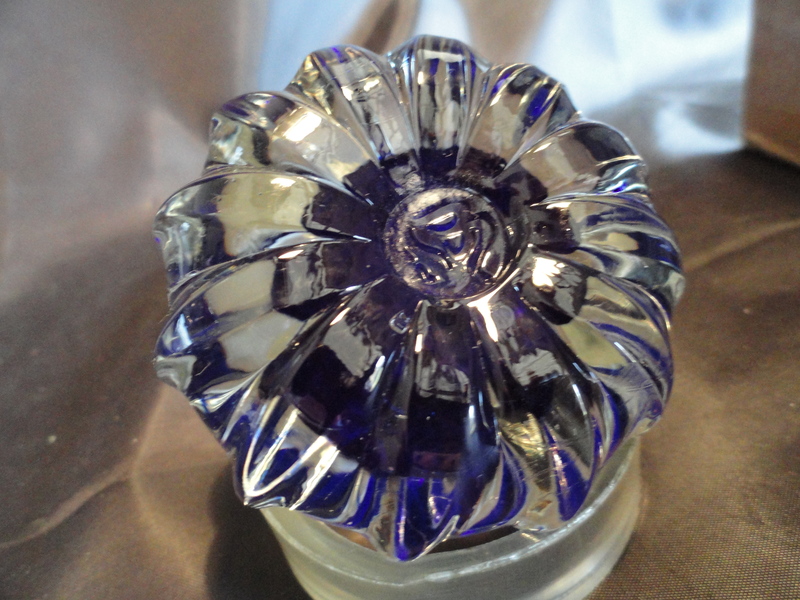 Intaglio Glass Studio made items for Fenton along with recieving the cull. There was only a handful of workers employed by Gary. 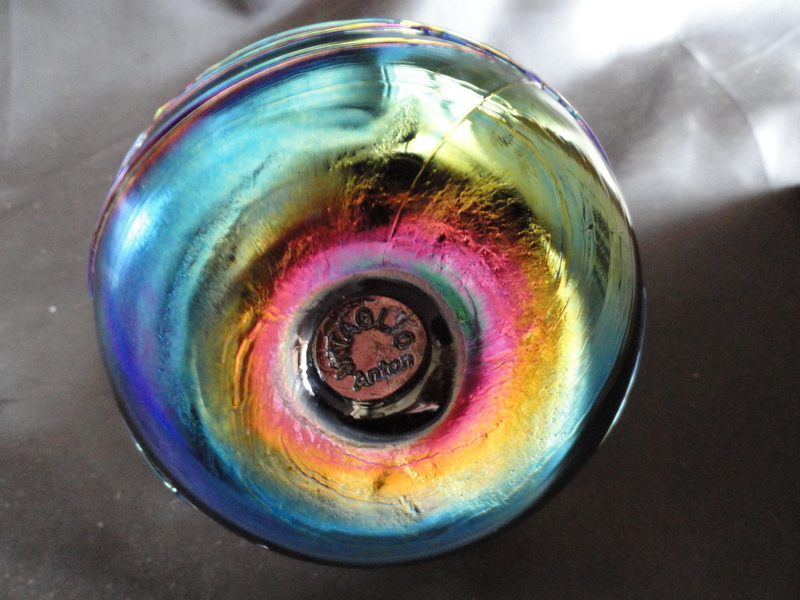 But he took on the Fenton work because he needed production work for the five or so workers he had and Intaglio glass did not have enough sales to warrant full time employment. 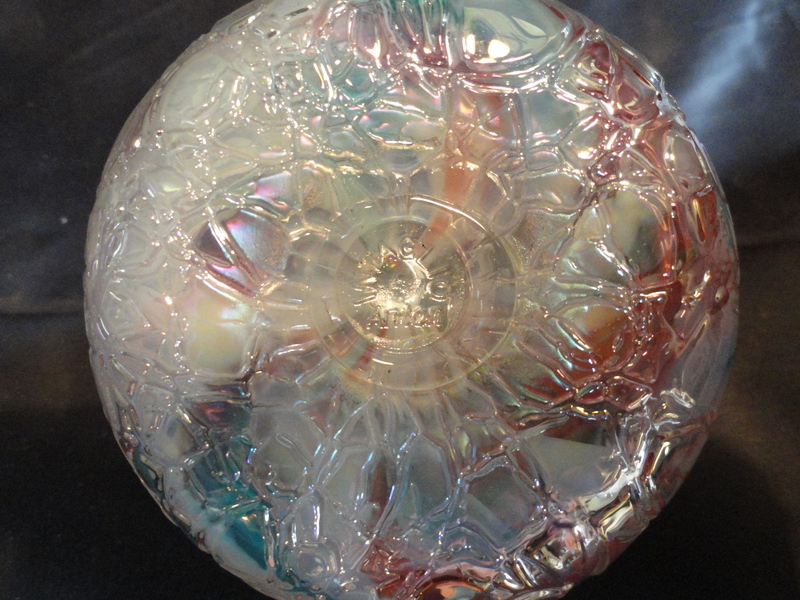 Intaglio primarily did Fenton’s burmese handblown. 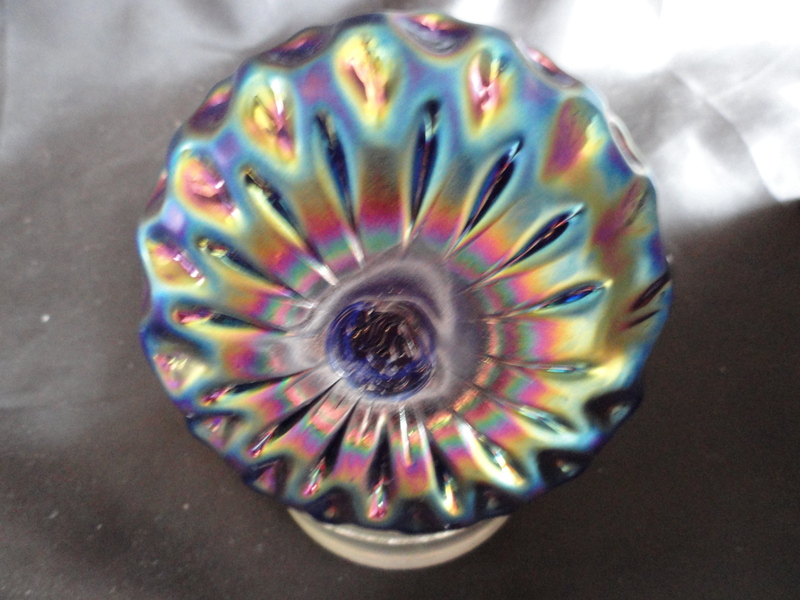 It was labeled and sold as Fenton. 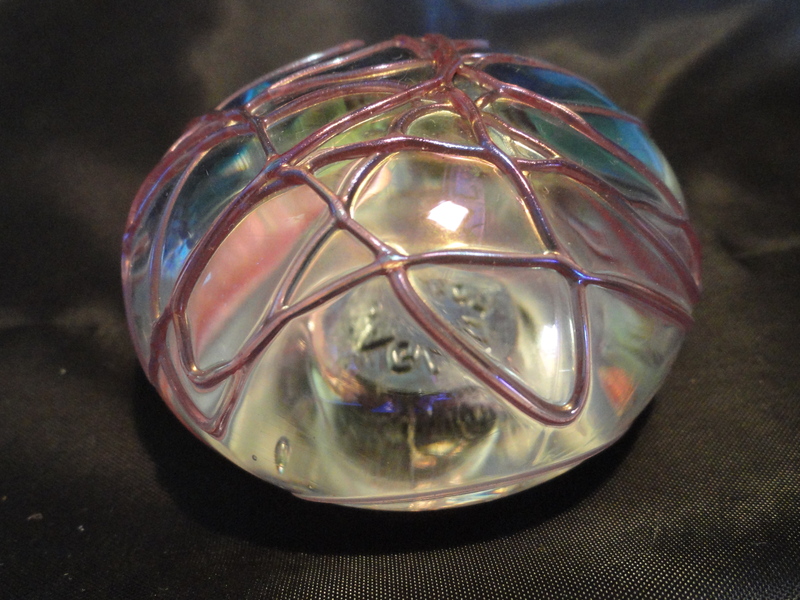 Intaglio made the most money through its’ paperweights and not tablewares. 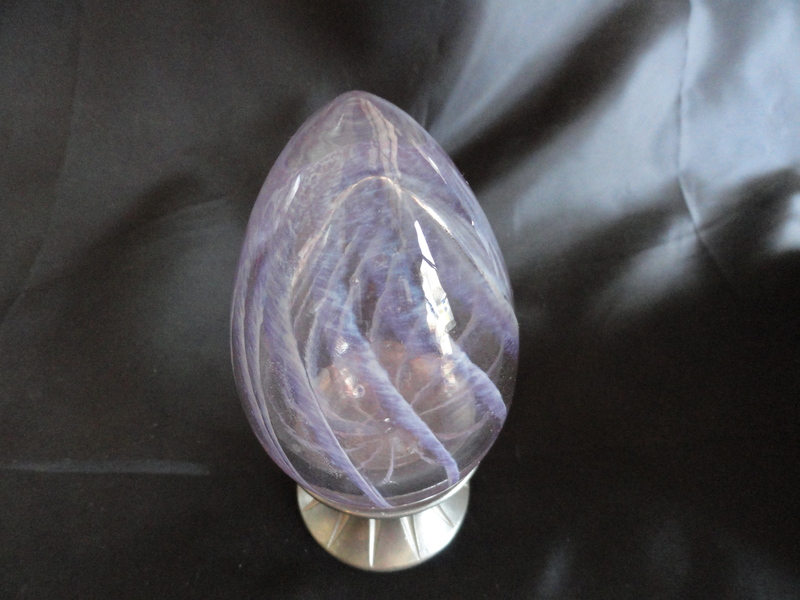 It also specialized in glass eggs and did some cane work. The factory closed because of the cost to produce was too high. Same reason Fenton has now closed. To run a production glasshouse takes large amounts of heat from natural gas. Intaglio did not run a furnace around the clock every day of the year but still cost in the thousands of dollars per month. 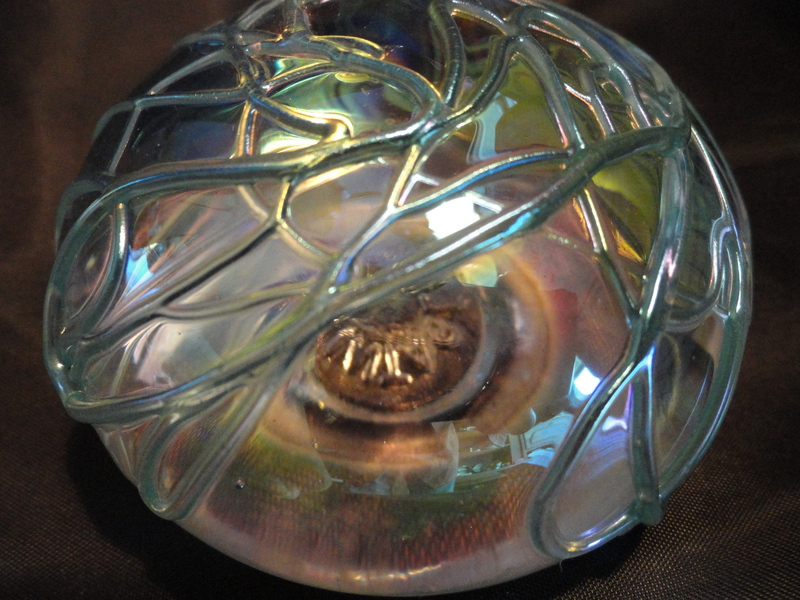 Enjoyed and learned from all of your articles on paperweight artists. 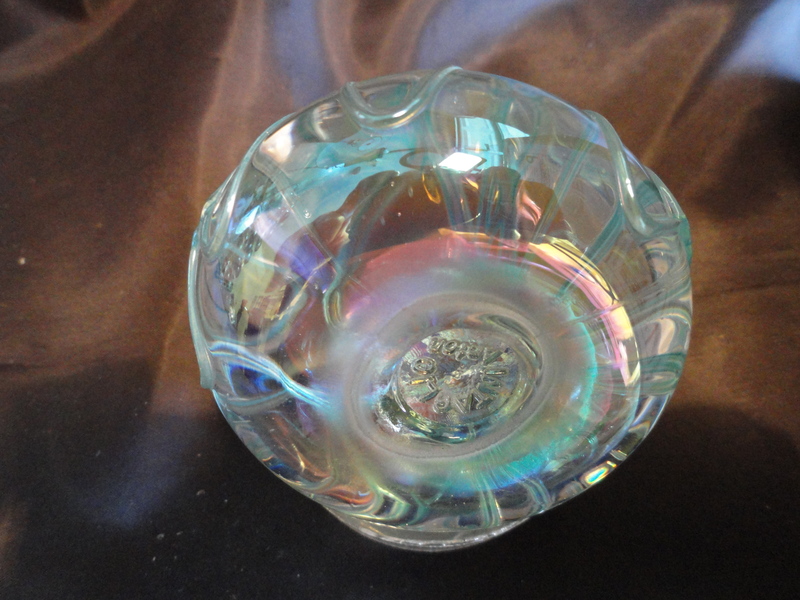 I too have been trying to find more information about Levay Glass Works and the role Susan Anton played in the items produced. 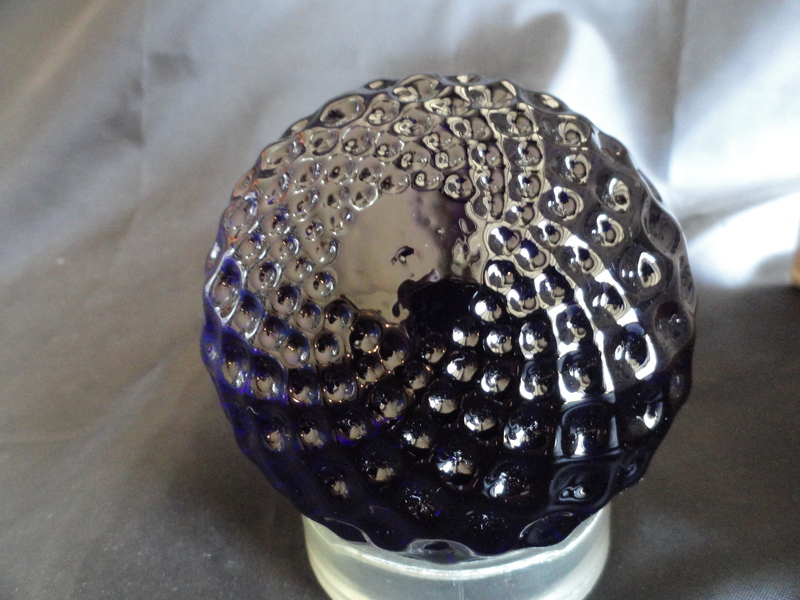 I have a small brochure titled Levay Glass Works with a picture of Susan Anton on the front. Inside it lists her academic and artistic accomplishments. 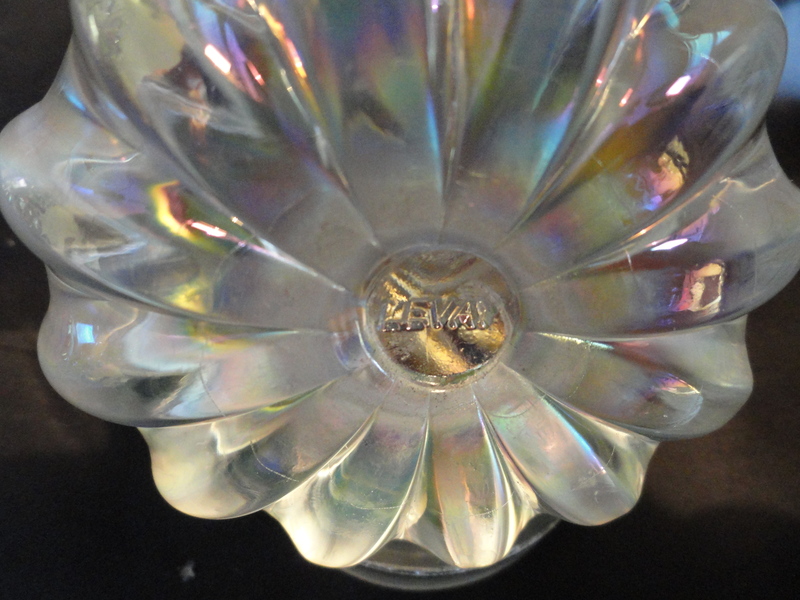 The address on the back for Levay Glass Works is 209 E. Vandalia St. Edwardsville, IL 62025. 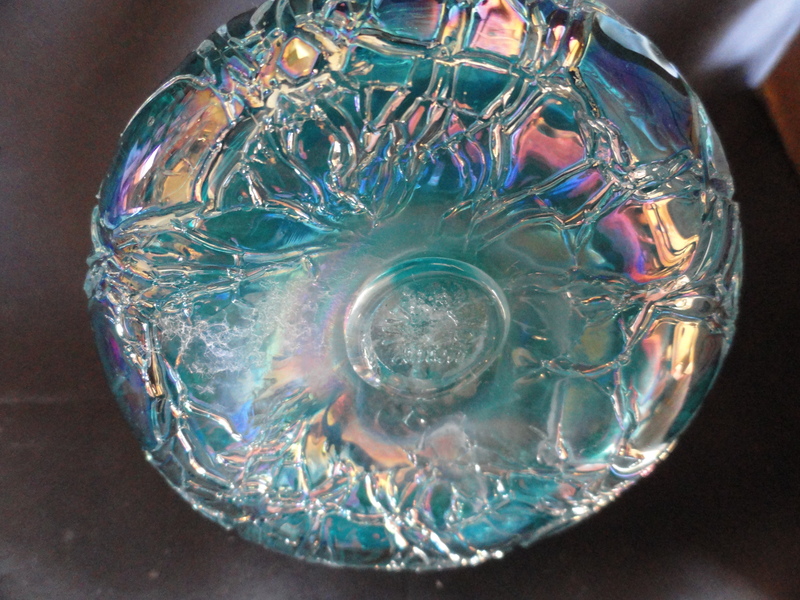 I probable have over 50 pieces with from Gary Levi, Susan Anton, or people who made pieces for Gary to sell. He did have his own web site about 4 years ago. If you send me your email address I will send you a copy of this item. Just got a strange message from a man named Paul, who claims he is close friends with Doti — I knew her as Dodie and her eBay site was Giftimes. 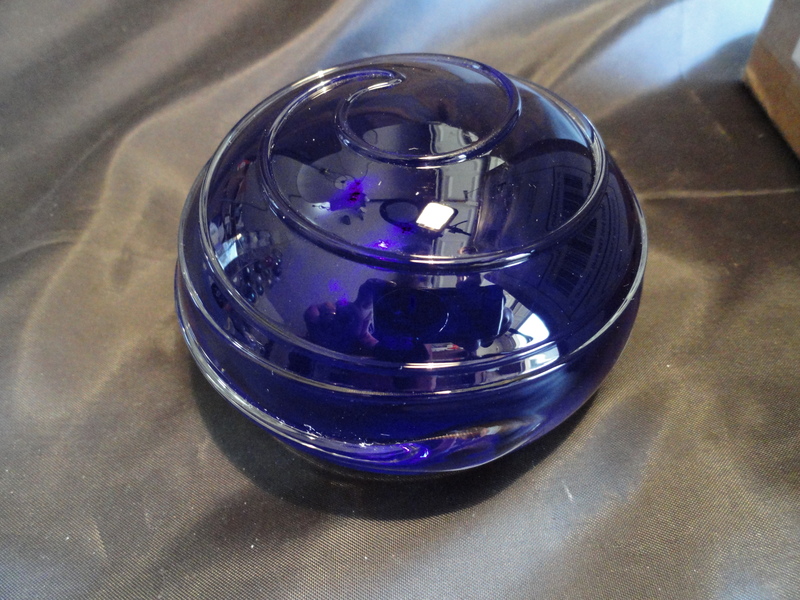 I am selling some items acquired from Gary, and in my listings I mention his death. This person named Paul says this is upsetting to Doti (?) and him. He says he aided in settling the estate and is a probate appraiser. I will try an contact Dodie and find out more. I believe the fact an artist has passed away is a fact worth mentioning and usually adds to the value of certain items. I do not want to cause anyone any pain. The message from this man named Paul asking me not to mention Gary Levi’s death in an eBay listing seems strange. Paul said Gary died 3 years ago. Would like to get your email address. 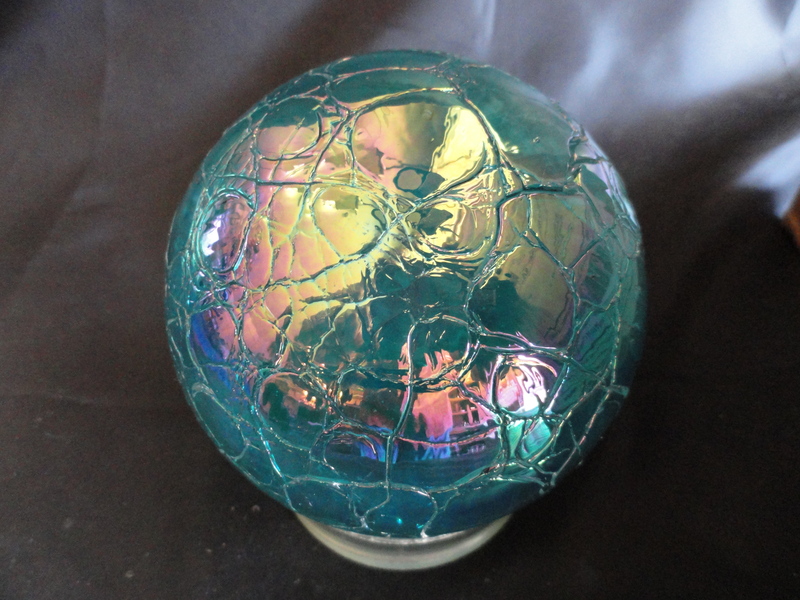 Have a very unusual paperweight you might be able to shed some light on. 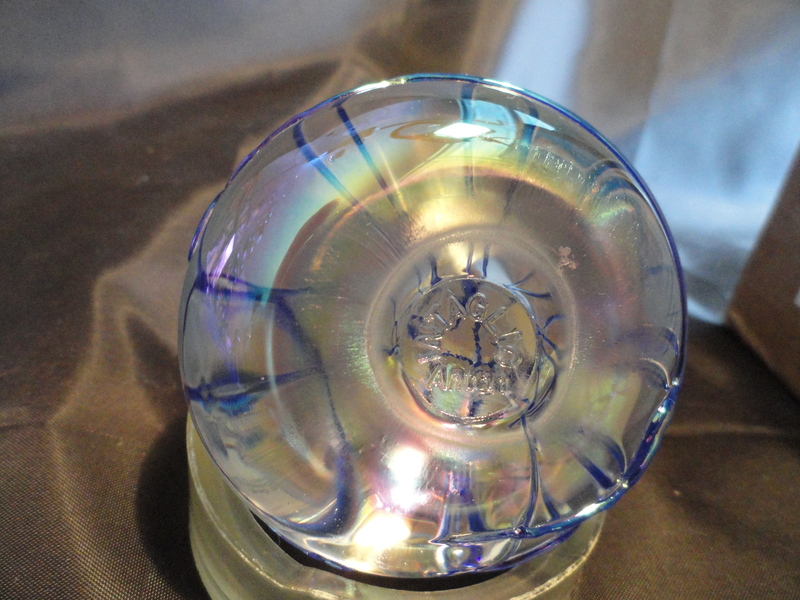 I have 2 paperweights one stamped LEVAY and also signed Anton 1985 CB6OL and the other signed Anton Lbw (?) 861320 they are just beautiful , I bought them in Pittsburgh years ago. 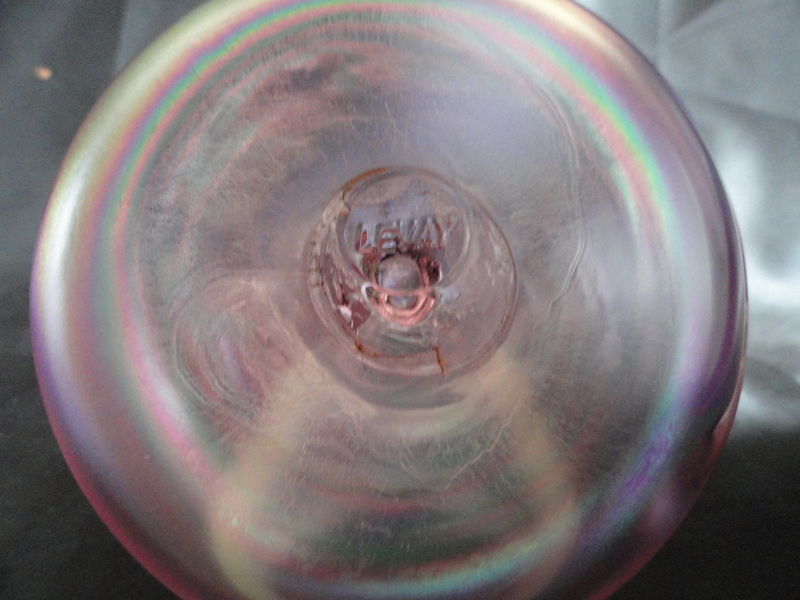 They are swirled florals with bubbles, one pink and white, the other gold and white. …happy to hear that the craft will live one, one way or the other. Thanks for this article regarding Levay, thanks for all these information. 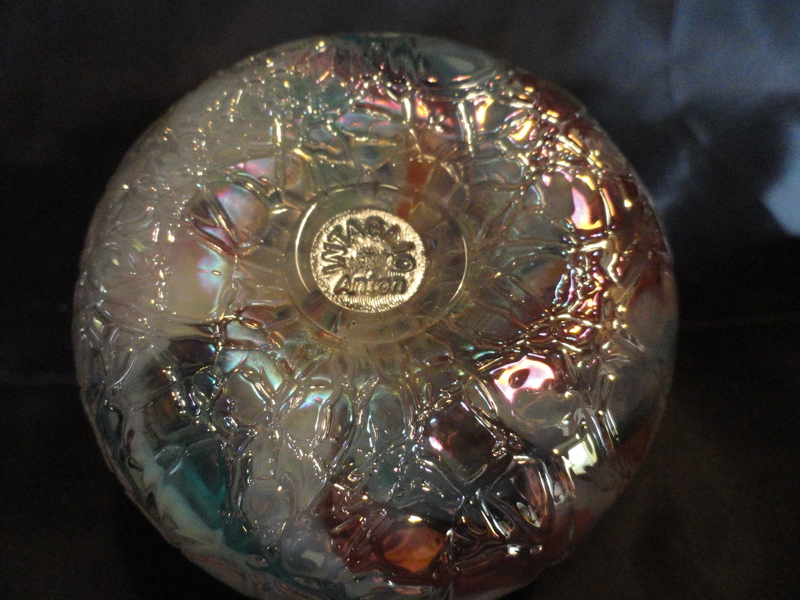 I have paperweight that has American Revolution Bicentennial 1776-1976 signed with G inside a shield and birds head, I wish if some would tell who’s the maker, is it Gibson or Gentile? or some one else. Hello. 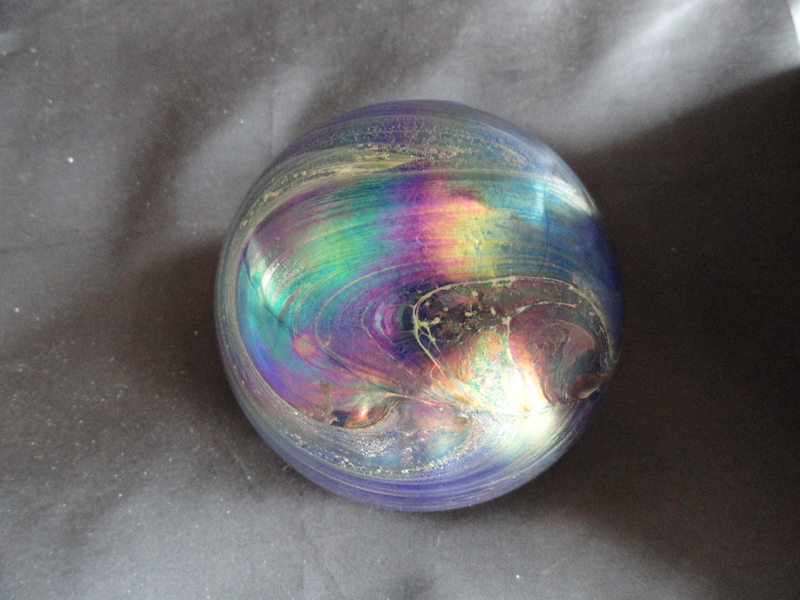 Thanks for your inquiry on your paperweight. 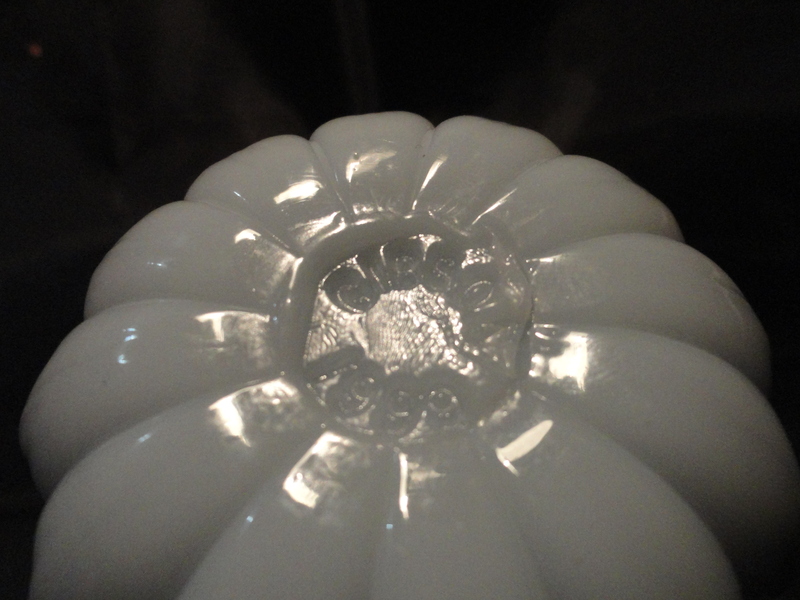 The G inside of a shield is most likely a John Gentile paperweight. Most Gibson PWs have the word Gibson hot stamped into the base of the weight. Thanks for reading my blog. Hey Doug! This is Meredith from The Milton Schoolhouse- I think you’ve actually bought some of your pieces from us as we found them. I never knew you had a blog! Another fellow eBayer pointed us to you, and I’m so glad that they did. At the time we bought the school, there were two very large kilns, a “glory hole”, and several cooling boxes still (partially) assembled in the warehouse. 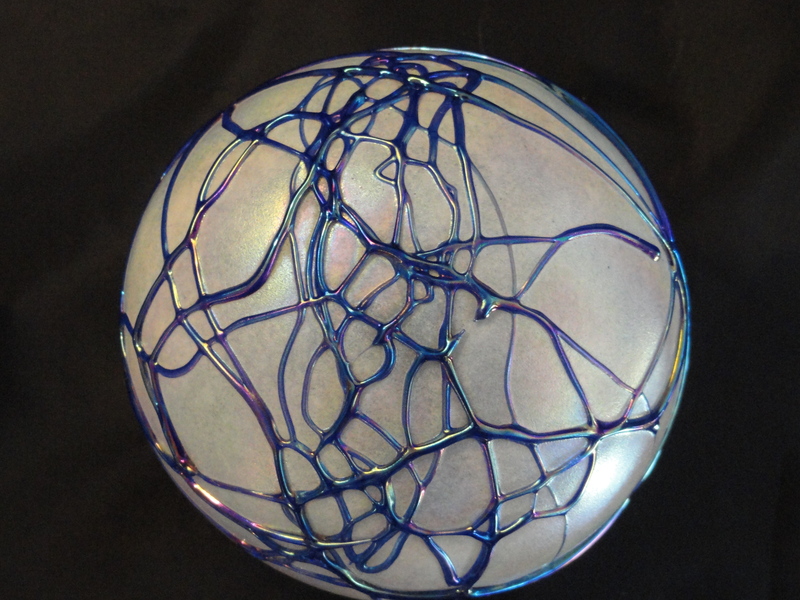 A local glass maker told us that he had sold pieces from the kilns after the factory had closed. However, there was a pallet of very high quality and brand new fire brick in the warehouse- it still had the invoice attached. So, if Mr. Levi had anticipated his factory closing, he was certainly still optimistic about expanding. (The artist is actually Kevin DUNCAN- a really awesome cartoonist that live not far from the schoolhouse. I met him at the post office and he was pretty amused that we found this binder). After speaking with Kevin, it appears that before building the warehouse onto the school, Mr. Levi had received a verbal promise of some sort from the SBA association about a matching loan for his company’s expansion. From what I understand, the program was tiered: so Mr. Levi borrowed a significant sum of money (supposedly from family and The Bank of Edwardsville- but that first part may be a rumor) to add not only the warehouse but make improvements on the school itself- such as installing exiting lighting and track ceiling. Meanwhile, the administration of the SBA changed around and changed its mind, and decided not to grant Mr. Levi the matching funds…even though Mr. Levi had already “spent” them on the building. Mr. Levi had the property assessed at an outrageous amount on its potential worth to borrow against in order to keep the cash flow for the factory running. When we purchased the building, the worth was assessed at nearly 1.5 million. Needless to say, the decaying structure was worth far less. Mr. Levi ran into general upkeep and safety/zoning problems- and meanwhile was having trouble paying the taxes on the property (which were now much higher than they needed to be). This led to numerous unscrupulous business partnerships and adventures, further bad feelings between Mr. Levi and the fire/safety inspectors, and eventually the factory closed. Mr. Levi still battled the debt financially, and the strain of the building took its toll on his health. As a side note, we battled Mr. Levi’s reputation for poor quality workmanship and minimal care of the building up until this last year. The former Fire Chief, Mr. Bock, had so much bad blood against Mr. Levi that when he came to inspect the building the first year, he told us that “Anyone who owns this building isn’t worth risking my men for- I won’t come save you if this place starts to burn.” Yikes. My husband, Joel, knew Mr. Levi during the period after the factory closed. It obvious by Mr. Levi’s journals that he had high ambitions for this building. I like to think our progress would have made him very proud. Oh! 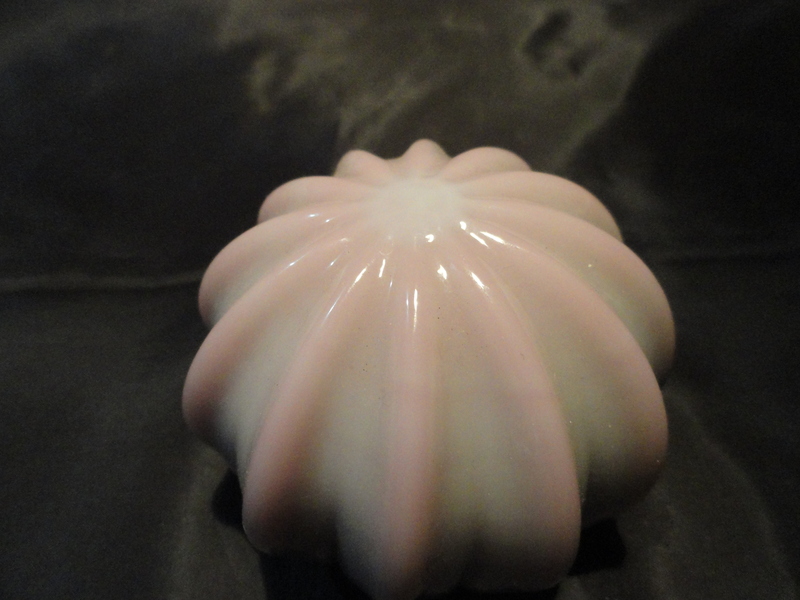 And I forgot to mention- he sold the Westmoreland molds before we acquired the building. We could’ve made a fortune off of them…..there were many, many people who came looking for them.